One of the early uses of the Buffalo Trace was to move the mail. The first mail was said to have been carried over this route by a Mathias Mounts. Later George Teverbaugh made the trip with mail traveling a foot once a week, the 130 mile distance. In 1799, public demand led to a post road being established along the Trace. Postmaster General Habersham (shown here) appointed John Rice Jones to perform the task of delivering the mail and maintaining the route every 4 weeks at a cost of $600. The Trace was improved and officially designated a post road on March 22, 1800. It was said to be first “western” mail route, carried weekly, by two men traveling the 130 mile route on foot. Justice – After the vexatious delays which we’ve been long subjected to in our mail communications with the Atlantic states, it is a matter of agreeable satisfaction to find a line established on which dependence can be placed. On the Vincennes route we now have regular arrivals from the principal towns in Kentucky and Ohio in six days, from Washington and Baltimore in twenty, Philadelphia twenty-one- New-York and Boston twenty-two and twenty-four. Mr. Beard, the contractor on the Vincennes Route, during the most inclement season ever witnessed in this country, has never lost a moment – on the contrary has always arrived some hours before the appointed time. It is hoped that government will reward his punctuality and do justice to this country by authorizing him to run a Mail Stage and carry passengers between St. Louis and Vincennes. Ib. Sergeant Charles Floyd, known for his role in the Lewis and Clark Expedition; was the only member to die on the trip, suffering a ruptured appendix. 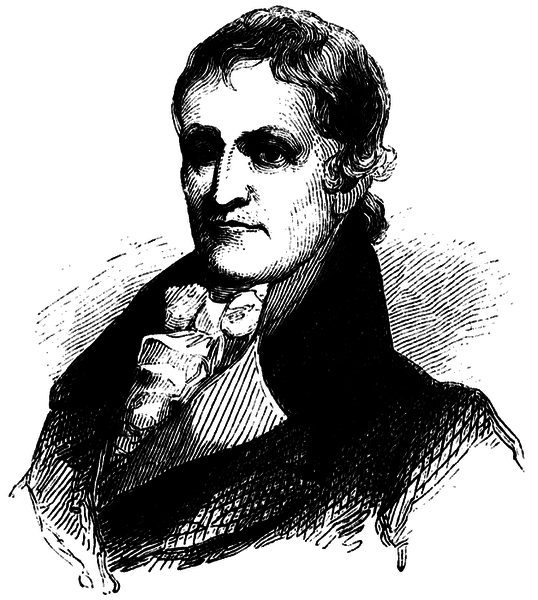 Charles Floyd was appointed the first constable of Clarksville Township, in 1801, at the young age of 18 or 19. His credentials for this post apparently included that he had carried the mail between Louisville and St. Louis prior to that appointment (before the age of 18!). 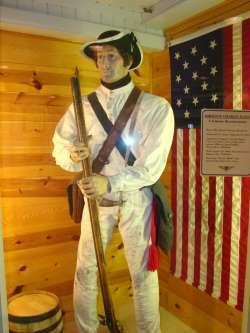 He was one of the first three men to be recruited by William Clark for the expedition and entered the Army on August 1, 1803. Floyd is buried in Sioux City, Iowa, near where he died on August 20, 1804. Floyd County, Indiana bears the name of this important family.